Chung-gee, Chang-i, Chung-yee, Cha-ngee, and the variations go on on how to correctly pronounce Changi in the name Singapore Changi Airport. The confusion, however, is about the only bad thing that I can think about the airport. Or is it even bad? Apparently, the name Changi came from the same name of the district where the airport is located. Singaporeans themselves might be debating on how to pronounce the name properly but the whole world is united in saying that the airport is one of the world's best... if not the best. We arrived in the airport 45 minutes before our flight the first time I had the chance to depart from Changi about two years ago. So, there wasn't any time at all to explore the airport. As you know, you can only experience most of an airport's amenities if you're about to depart and not during arrival. 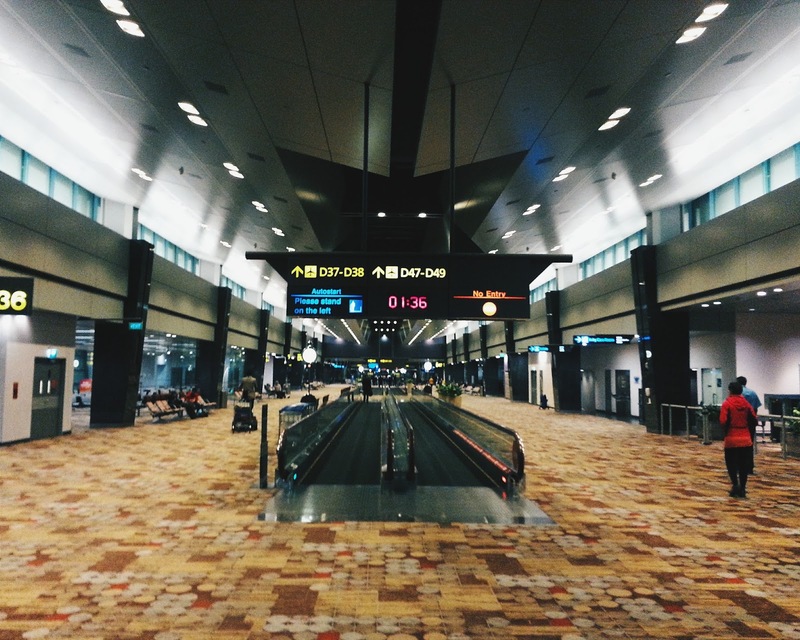 During last month's trip, I chose a 2AM flight so we can validate if the stories of Changi's greatness are true. From the abundance of very readable signages, the fast and free internet connection, decent food choices, polite staff, and comfortable resting areas while waiting for your flight, I experienced for myself why Changi is everyone's favorite airport. Mimicking one of their customer service representatives who ushered us from the check-in counter to the immigration desk even if it wasn't necessary, let me walk you through our Changi Airport experience. Upon arrival from our Manila trip and after our passports were marked, this is the next sign that will greet you before getting your baggage. After just one step, they will already ask you if your experience has been outstanding so far. Arriving at midnight and waiting for your hotel's shuttle? No problem. These comfy seats will help you cure your jet lag. Changi Airport is accessible through the very efficient Singapore MTR. However, like other expressways in the world, the operations end at 12 midnight. We arrived at 1:30 in the morning but a shuttle desk can take you from the airport to your hotel for 9 SGD or roughly 300 pesos. You might need to wait for a few minutes but the ride was really comfortable. Leaving Singapore 5 days after, we were able to catch the last train from the nearest MRT station from our hotel (Novena Station) and traveled almost 16 stations away to the Airport Station. After alighting from the main train in Terminal 3, we took the Airport Skytrain to Terminal 1 where our flight was assigned. Australian carrier JetStar is among the biggest airlines operating in Changi. They were four JetStar flights within the 3-hour period of our flight so the check-in counter was full. But if you're into reading and playing around with automatic stuff, you'll be amused with this machine: a check-in machine that doesn't require an airline employee's help. There were a lot of available machines as you can see but only a few passengers dared to use them. The machine will allow easy search of your flight details by just entering your name. For confirmation purposes after your flight is found, the system will ask you to scan the bar code of your ticket as seen in the first picture above. After your passenger check-in process is completed; seat numbers, gate assignments and whatnot, the machine will print your boarding passes. It will also print your bag tags for the next process: the baggage check-in. After properly putting your bag tags, you will proceed to the baggage check-in machine where you need to scan your passport. Your flight details have been confirmed from the previous machine so the second machine already has your information. What it needs from you are baggage check-in details like the number of bags and if there are breakables inside. After filling up all the necessary information, there goes the bag being pulled mechanically by the lever. So, what are the next things that you'll need while you still have more than an hour to go before your flight and you've completed check-in and immigration processes; food, a nice seat and... internet! Wi-Fi connection is not free for all but free for passengers only. Anyone can get inside Changi or up to the Immigration counters at least. There are a lot of shops inside the building and shopping is open for non-passengers. We were not asked for our flight itinerary when we went inside the airport. The internet connection, however, will require you to scan your passport for you to get a wi-fi password. One password is for one device. However, you can get unlimited passwords if in case you need connection for both your laptop smartphone. We heard there is a cinema inside the airport but we were too tired to search for it. Who needs a cinema when you have a viewing area like this. Maybe an early morning flight is good so everyone can get their own seat. The viewing panel was divided into three areas with three TV sets: one for news, one for sports and one for kids and animated shows. Your huge red, pillow-soft seat has its own speaker which is strategically located on the upper part of your backrest. It's right next to your ear when you sit so you won't disturb those who are watching a different show. It's like having your own TV set! Our flight was assigned to the farthermost boarding gate, D-49. It's quite a walk but walkalators are available. Even if you will not use the walkalator, your feet will love the heavily carpeted floors in all of the airport. I wonder how much Changi is spending on cleaning these carpets alone. Even if the customer service representatives are nice, be sure to follow instructions since there security personnel are very authoritative. Not sure if that's the perfect word but they are not exactly the smiling guys. I forgot to remove my belt upon entering our boarding gate and I experienced a not-so-polite moment. He's excused since the instruction boards are clearly pasted on the security area. It might sound too impossible to wish something like this to happen to NAIA but if we can, we can definitely steal the attention from Singapore. 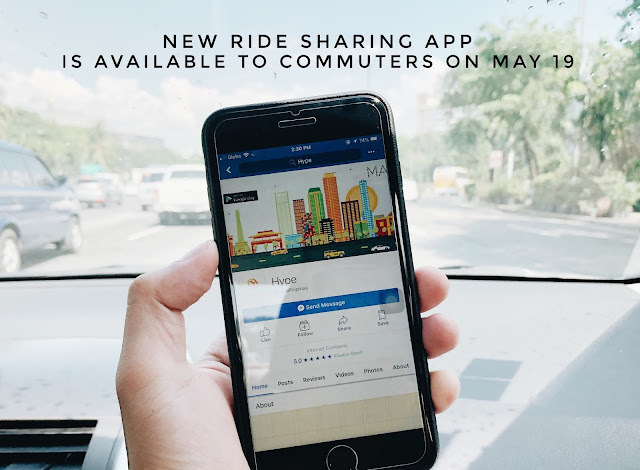 Manila is a more efficient choice for layovers in connecting trips compared to Singapore because of our strategic location. Let's hope for the best. For now, Changi Airport deserves to be the world's best.